The roof is made up of different parts, each one playing a role in protecting your home. Any damage to these areas is serious, since it can lead to long-lasting structural issues. These include leaking, pest infestation and mold growth. Here’s a rundown of each part as most roofing contractors know them. The roof decking acts as the skeleton of your roof. It is a basic wood frame, responsible for giving your structure form. It includes the rafters, which are beams that run throughout, and the valleys (corners going inward) or hips (corners going outward). This frame is also what the shingles are nailed to. The gutters are the system that keeps water running off your roof properly. It helps your roofing eliminate rain and snow efficiently, without spilling the water over the sides, or leaking them onto the sides of your home. Be mindful and observant when you check this area, because blockages can lead to serious leaks. It can also weigh down the gutters, displacing them and creating a whole host of issues for you. The soffit is the underside of your roof’s edges. The fascia is the horizontal board covering the soffit. Both play an important role in ventilation, since the vents are installed in these areas. If either the soffit or fascia is damaged, it can lead to hot air circulating in your attic. Your roofing uses a water-resistant sheet to stay dry. This barrier, known as the underlayment, is placed beneath the shingles. It helps fight against ice dams and leaks, which can cause serious structural deterioration to your roofing. The topmost layer of your entire roof is the shingles. It is the frontline of defense against weather, sunlight and falling debris. 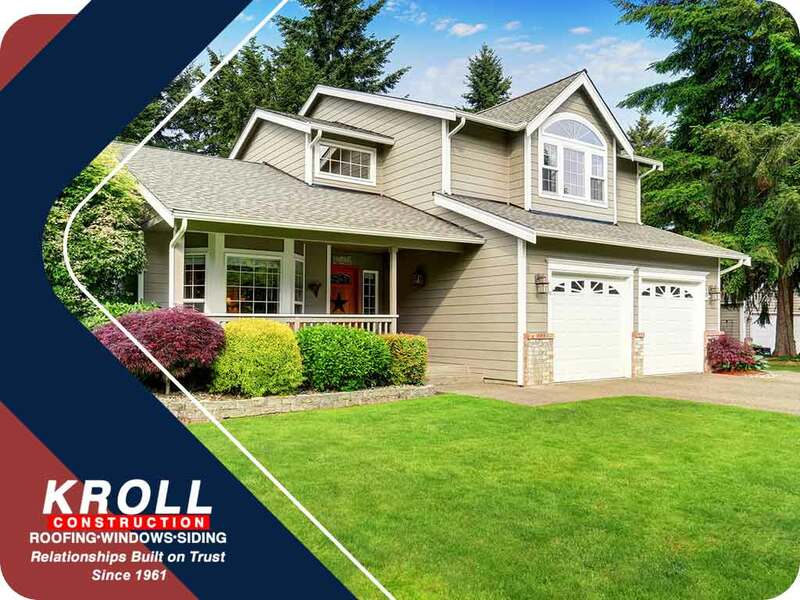 At Kroll Construction, we want to help your roof stay in peak condition. We offer maintenance and inspection services. Call us today at (844) 688-9632 to learn more about our services. We serve residents of Detroit.